Extracts from the six shortlisted novels for The International Prize for Arabic Fiction 2014 have been released in advance of the prize-giving later this week at the Abu Dhabi International Book Fair. I have read them all with great diligence. The problem is, of course, that the originals are in Arabic and what I have read are translations. My conclusion is that… much is lost in translation, and some of these novels have come out sounding very weird indeed. Were they written like that, or should we blame the translators for mangling the authors’ texts? Having said that, I am very taken with one of these novels. To my mind there is one outstanding winner, and it is the Iraqi novelist, poet and screenwriter Ahmed Saadawi for his novel Frankenstein in Baghdad. The book has been translated by Jonathan Wright. The guy was none other than Abu Zaidoun the barber, an old man who was all skin and bones. They found him slumped on his white plastic chair in front of the barber’s shop that had once been his. He had handed the shop over to his youngest son years ago when he could no longer stand on his own two legs. He looked to be asleep, at least to anyone seeing him from afar, but the handle of a pair of stainless steel scissors protruded from his upper chest, near the base of his neck. The scissors were a pair the son used in the barber’s shop. The premise is fascinating. In Baghdad, in the Spring of 2005, ‘Hadi al-Attag takes the body parts of those killed in explosions and sews them together to create a new body. When a displaced soul enters the body, a new being comes to life.’ Magic realism? I need to read more. 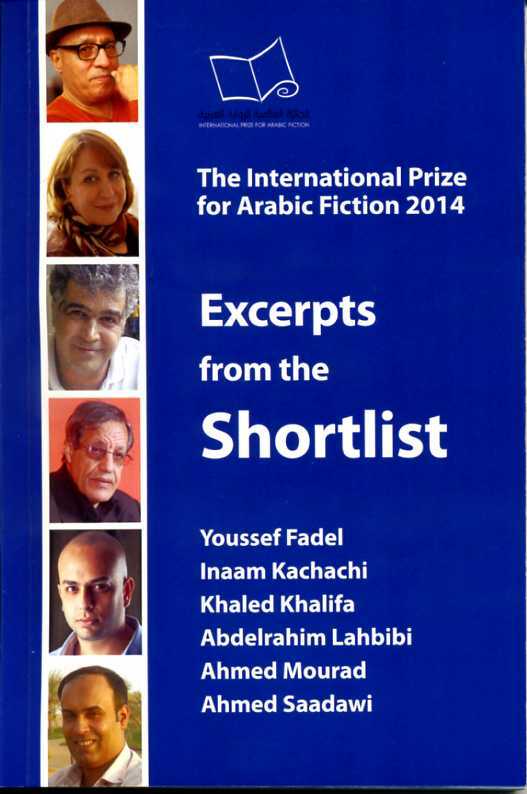 It will take some time and more book awards like this one to see in which direction new Arabic fiction is going. So, Frankenstein in Baghdad is the shortlisted novel that gets my vote. It stands out a mile from the other contenders. Will it win? We need to wait a few more days to find out. I shall be very upset if it doesn’t.